Toxic gas detectors serve to find the hazardous gases in the air. They are the part of the security system on the industrial platforms, building constructions, mining, water and soil remediation, sewage treatment and and other fields. There is a concrete definition for toxic gases. It determines them as the gases that makes toxic or corrosive effect on human’s body, strong enough to constitute a threat to health and life. nitrogen compounds, and many others. To avoid the damage to workers’ health such materials must be strictly controlled, and there is a huge need of the reliable and solid devices that detect toxic gases quickly. 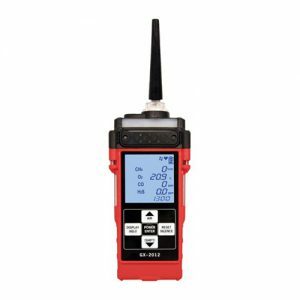 Portable personal gas detectors are the reliable and accurate way to protect the health and life of the worker or inspector. They are always with you and provide the complementing sound and light signals when danger is detected in the air. 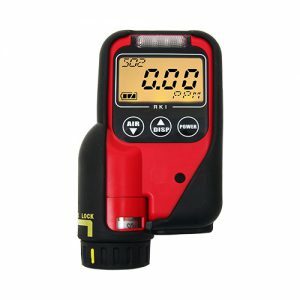 Because they are light and handy, and usually have the comfortable clips to fix it on the clothes, portable gas detectors become the easiest and most efficacious means to protect each individual at the working space. They also can be connected in one net to guarantee the safety and security on the whole building or field. Old models were manufactured to detect only one gas, but lately the producers focus on the multi-gas controllers. They can be divided according to the principle of action and to the gases they can detect. Gases can be combustible and toxic. Electrochemical sensors and photoionization detectors use electrical current to determine gases and vapors in the air. MOS has a sensitive film that reacts when contacts toxic gases. Infrared sensors use light sources and receivers. The gases change the optical interference between those two and the detector signalizes toxicity, or explosion hazards. Here you will find various models for all possible applications. All technologies they use in their operation are very reliable and give precision results. They need minimum maintenance, one thing you should remember is that the sensors are sensitive to contamination and the intense use in areas with high concentration of gases will demand additional service. The difference in portable and stationary equipment is obvious, the first are wearable and serve to control the area close to a worker. Fixed instruments are meant to provide continuous and always-on monitoring. They find and measure hazardous materials in the air. Various constructions of such tools make them helpful in large facilities and in such constraint environment as mine or workshop.